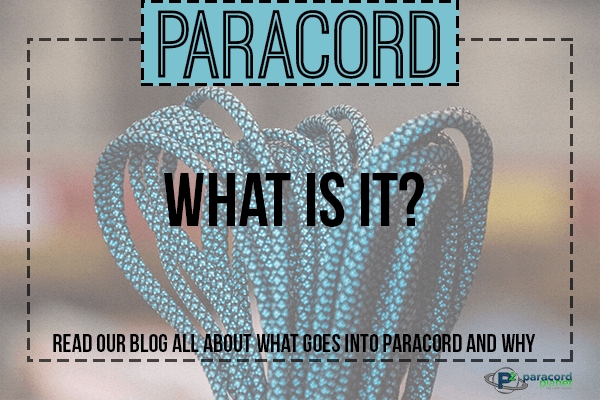 So you've heard everyone talking about paracord and you want to know what it's all about. Or maybe you have friends who keep asking you how paracord is a hobby. Either way, keep reading. 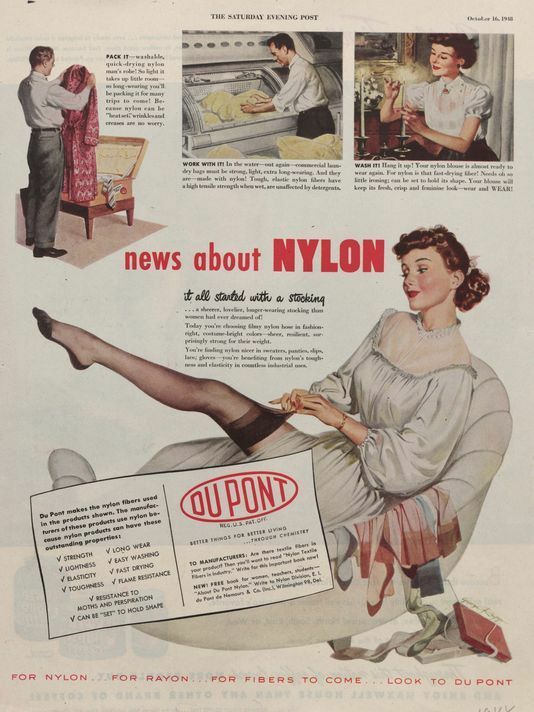 "It all started with a stocking"
Nylon, because it is synthetic, has some important properties. It is rot, mildew, abrasion, and UV fade resistant. Which means that, unlike most naturally-occurring materials, it can be subjected to weather,abuse, and time without showing much wear. It also dries quickly, is somewhat elastic, and is much slower to aquire foul [er...human] odors, making it good for athletic clothing. Paracord, which has all the aforementioned benefits of being made of nylon, was first commissioned by the military. You can read the actual specifications below. People often don't know that there are, officially, 6 different types of paracord. If you are thinking, "Oh crap, I'm never going to understand all this," don't despair. Most people, when they talk about paracord, mean Type III, known commonly as 550 cord. Not all paracord available is subjected to these requirements. Just because you find paracord that says "Type III, 550 cord" does not mean it lives up to actual military specifications. Not even all "Mil Spec" paracord is truly mil spec. But this does not mean that all non-military paracord is inherently worthless, it just means that you shouldn't trust it to hold your own weight in situations where your life depends on it. Paracord is classified as a kermantle rope, which means that it has a core (or kern) and outer sheath (or mantle). Core + mantle = kermantle. The core of 550 paracord is usually made up of 7 strands, which are, in turn, made up of three smaller strands each. In military spec cord, you will find a manufacturer identification cord inside, but again beware: There are many imitations that use an ID cord that are not truly military spec. If you are buying paracord as a survival rope and think you will be using it to carry your own weight, you will want to buy your paracord from a place you trust. The outer mantle is usually made up of 32 woven strands. While multiple colors may be used for the different strands, paracord in "rainbow' colors are usually not made of nylon, as single nylon strands cannot be dyed multiple colors. The different types of paracord have different specifications. If you want information on each kind of paracord as a visual comparison of size and construction, visit the cord comparison chart. 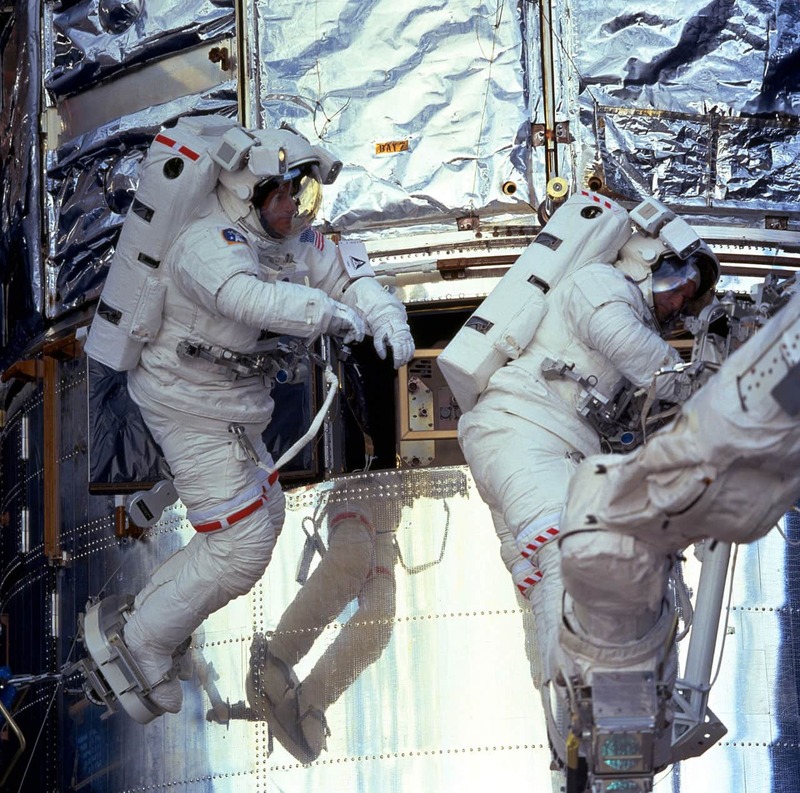 Famously, paracord was used in Hubble Servicing Mission 2. Several tears in Hubble's insulation material were repaired with a mixed assortment of unconventional spacewalking tools: parachute cord, Teflon insulation with holders made of Velcro, Teflon-coated copper wire, electrical tie wraps and plastic tie wraps. 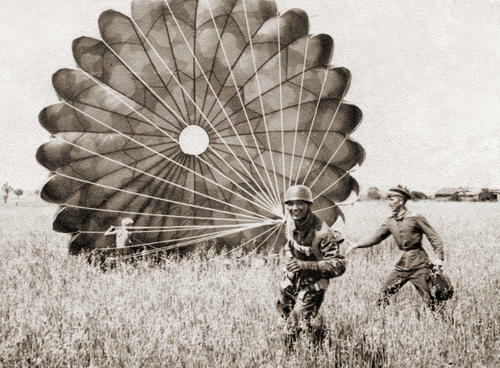 Nylon fabric and nylon paracord were the first synthetic materials to be used in the making of parachutes. Did you know that the first person to jump with a nylon parachute was a daredevil named Adeline Gray? While advancements in parachute construction have been made since WWII, Nylon is still the most used parachute material today. That means that in 80 years, we have still not found a better fabric that is as low-cost to produce as Nylon. After an hour of scouring the internet, I was unable to determine if parachute suspension lines were still made of something resembling paracord. If anyone is an expert on the topic, let us know in the comments down below! Either way, paracord has played an important role in the history of the U.S. Military and beyond. Bulk — 550 cord is quite bulky compared more modern suspension line, which is typically flat or round braided Dacron or vectran. 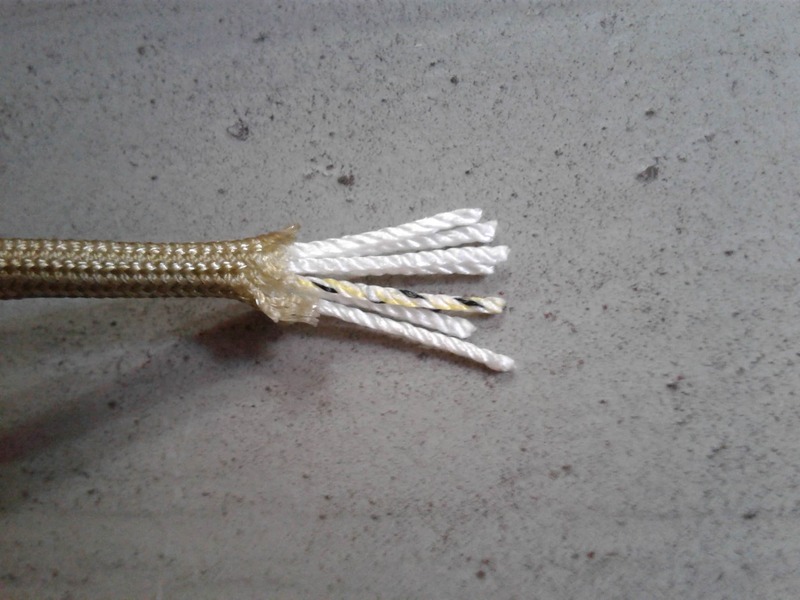 The outer sheath of 550 cord, itself having a tensile strength of 150 pounds, is designed to provide abrasion resistance, necessary in rugged military applications. This heavy sheath is not deemed necessary in the civilian market where more modern methods like chemical treatments provide abrasion resistance. Elasticity — Nylon is highly elastic — as much as 20% elasticity at break. The core and sheath construction of 550 cord increases that elasticity. This is a good thing in traditional round parachute assemblies where elasticity reduces stress and increases strength. In the modern world of “square” ram air wing parachutes, elasticity is a bad thing. Trim is critical in a ram air parachute. This requires suspension lines of very precise lengths. Modern parachute suspension line is typically made of Dacron, vectran or other highly inelastic synthetic fibers. Dacron is typically less than 2% elastic at break. 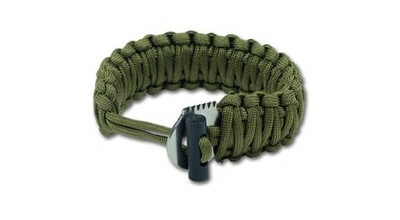 Can I write an article on paracord and not mention the classic survival bracelet? The look of the "cobra" weave is easily recognizable and has been the iconic look of paracord for years. While it is a very practical way of storing a large amount of paracord for survival situations, I find them to be a bit too bulky to wear them on an everyday basis. One way to get around that problem would be to make them out of a smaller type of paracord. The "lesser" types, while having slightly lighter breaking points, are still a highly useful survival tool. Another option would be to make a belt—a project I have yet to take on. Our community has been sending in some amazing images of their own creations. You are constantly inspiring us to push ourselves to greater creativity. We wouldn't be able to do what we love, without you doing what you love. We can't wait to see what you come up with next! Paracord has a glorious history that started in the middle of the last century sometime. It has many survival applications, as well as every-day, practical uses. Not all paracord is made alike. No matter the quality, don't trust your weight to paracord unless you have no other option. PARACORD IS NOT A CLIMBING ROPE. In recent years Paracord has become a popular cord used for all kinds of crafts and works of art. As you can see from some of the images above, there are some legitimately classy designs for paracord bracelets that you can hardly tell are made of paracord. We plan on featuring more of those in the near future, so stay tuned!